The founders of bo.ho believe that their success does not only belong to them, it belongs back to the world. 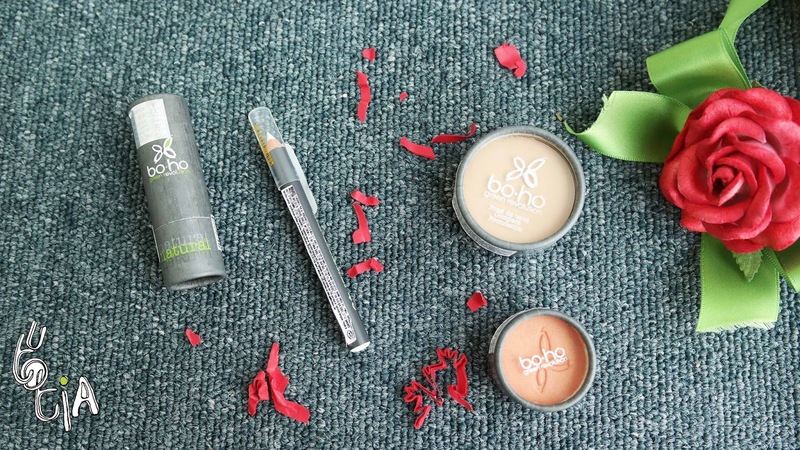 Bo.ho is committed to the movement of “slow cosmetics” and 1% of all purchases is donated to The “1% for the Planet” International Club. Bo.ho. is a gourmet brand, meaning bo.ho. offers a variety of make up collections with the best quality in each product. 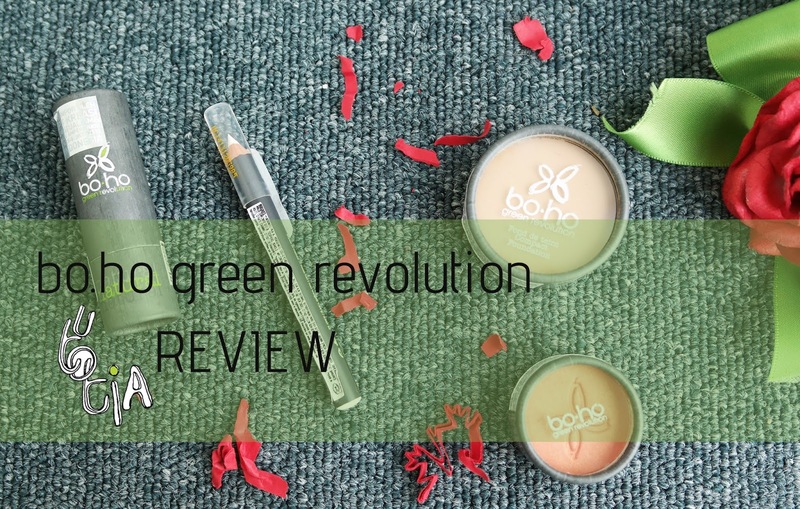 Proving, it is possible to create a green makeup professional quality with natural ingredients. 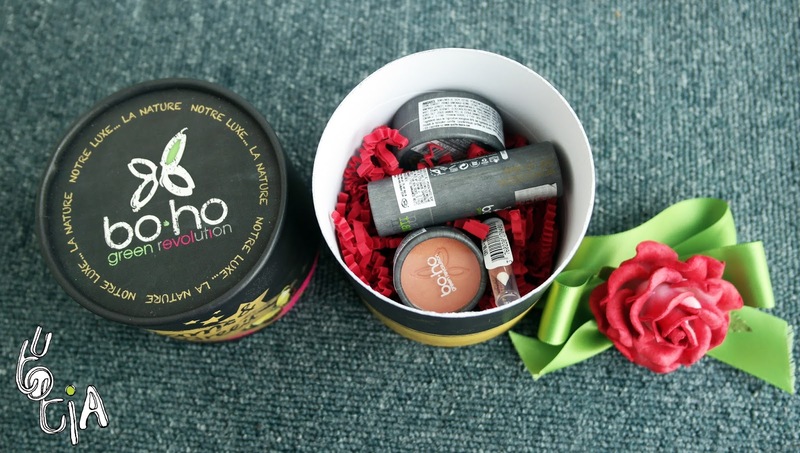 Bo.ho is inspired from natural colors, such as stunning colors from chocolate, hazelnut, olive, amethyst, carrot, peony, pearls and transform these to cosmetic products that is suitable for all skin colors. 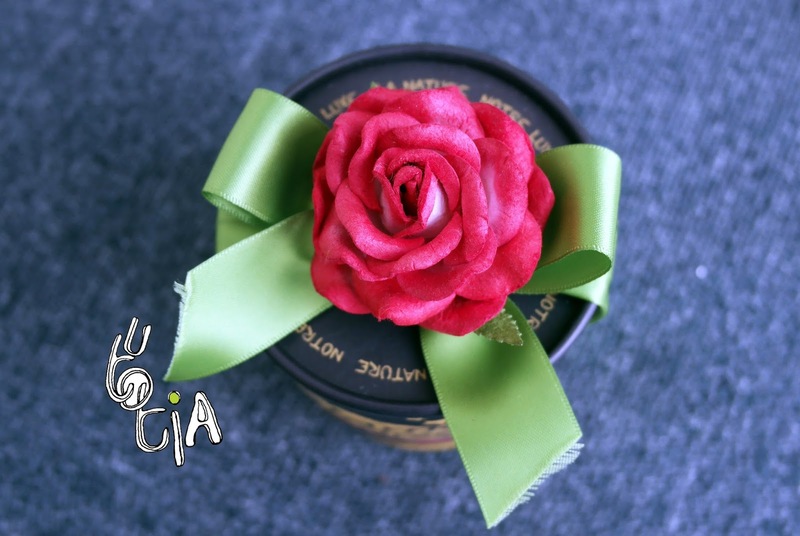 All packaging is biodegradable! 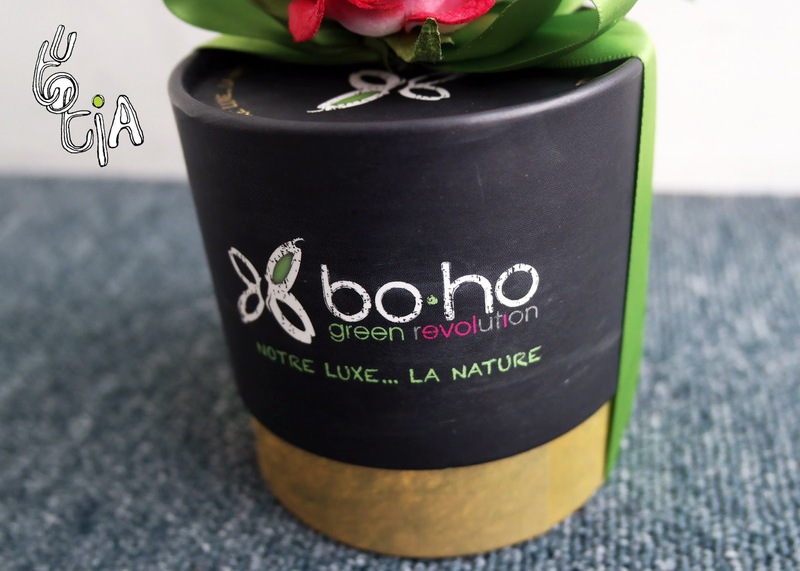 Bo.ho uses cardboard and plastics that are made from plants. With this concept, bo.ho can offer quality product with reasonable prices. 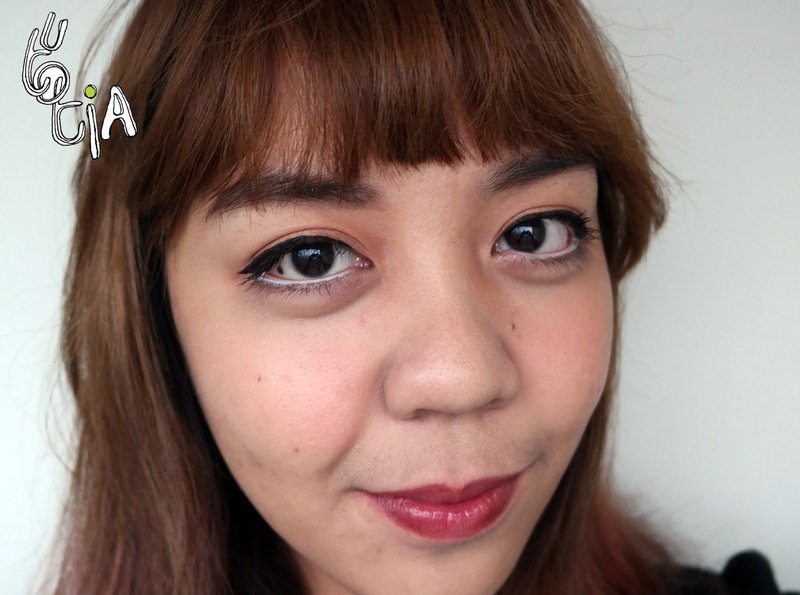 I attended Boho beauty class before, read it HERE. 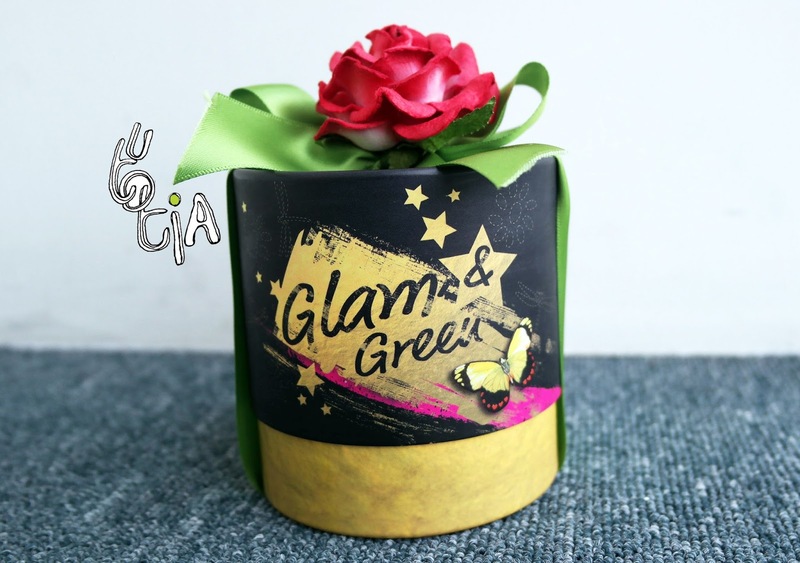 Actually I really love how Beauty Box Indonesia decorate the package containing boho cosmetics inside. It's just lovely and 'green'! 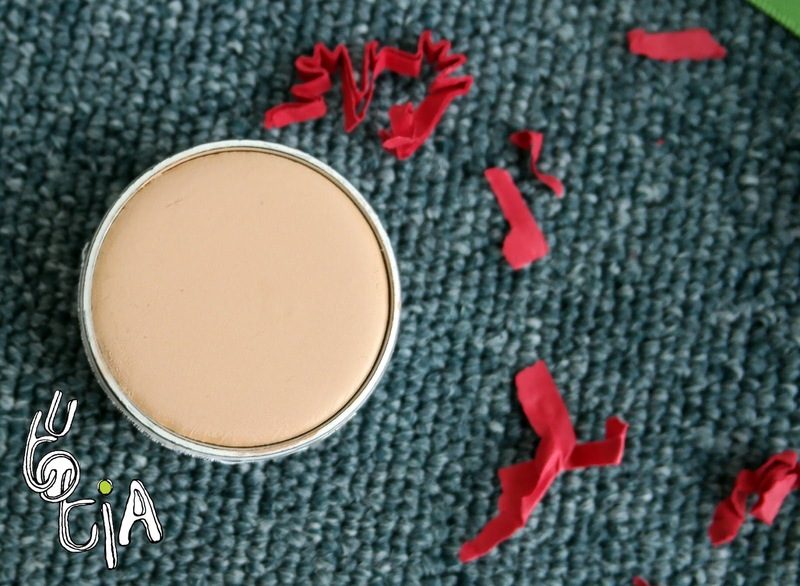 protects and moisturizes the lips/ rich in plant-based active ingredients/ excellent hold/ four ranges: matt covering, glossy covering, and discrete matt, discrete glossy / fresh aroma. The color looks dark and reminds me of vampire lips look or plum-like. But turns out very subtle on my lips. It doesn't deliver the matte effect as it promised, though. 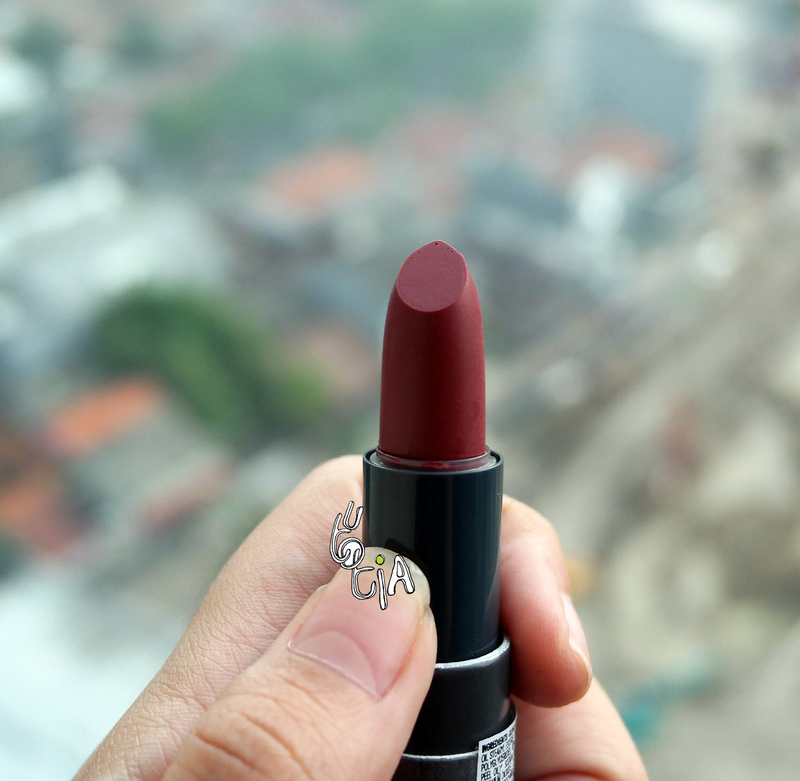 Even so, I should say I love this lipstick the way it is. 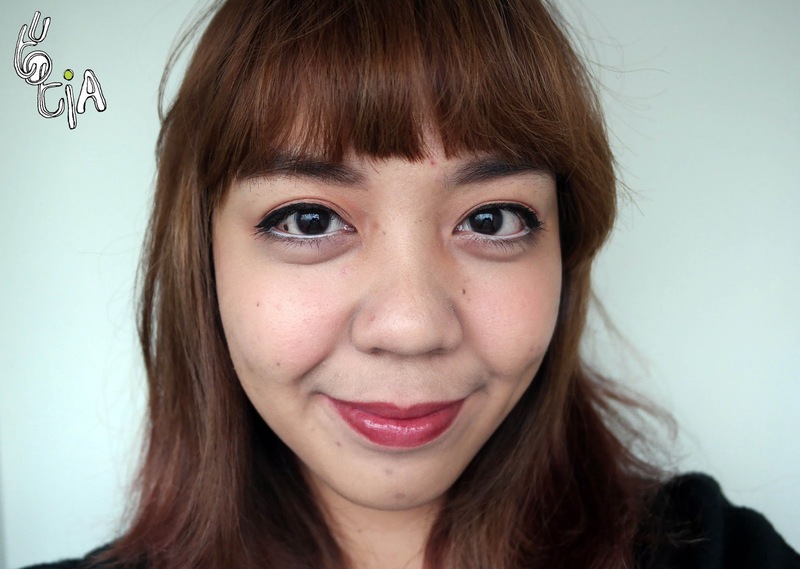 Though it doesn't give that matte effect, I love the natural, stain look of the lipstick. creamy texture/ powdered result/ natural covering effect/ comfortable and moisturizing/ easy application with a foundation brush. The foundation looks sturdy and I thought that this foundation must be hard to blend. 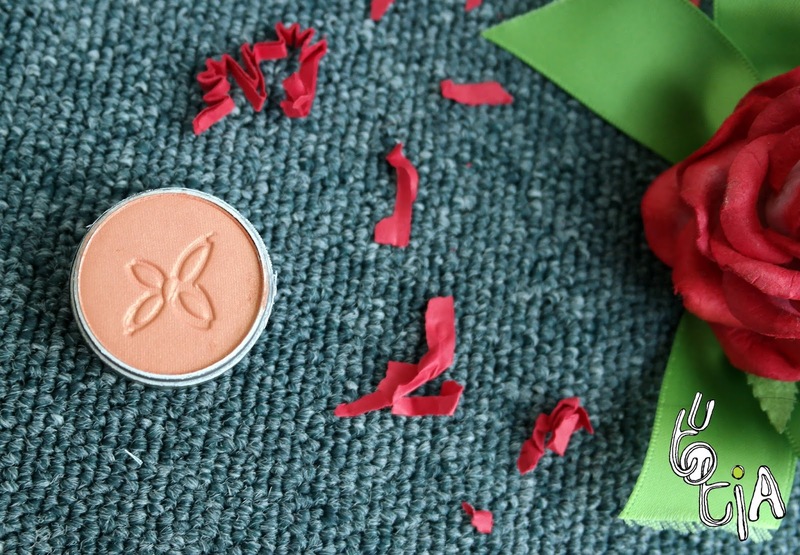 But it proved wrong, once you swipe it onto your warm fingers, it's quickly melt down and blended easily to your skin. 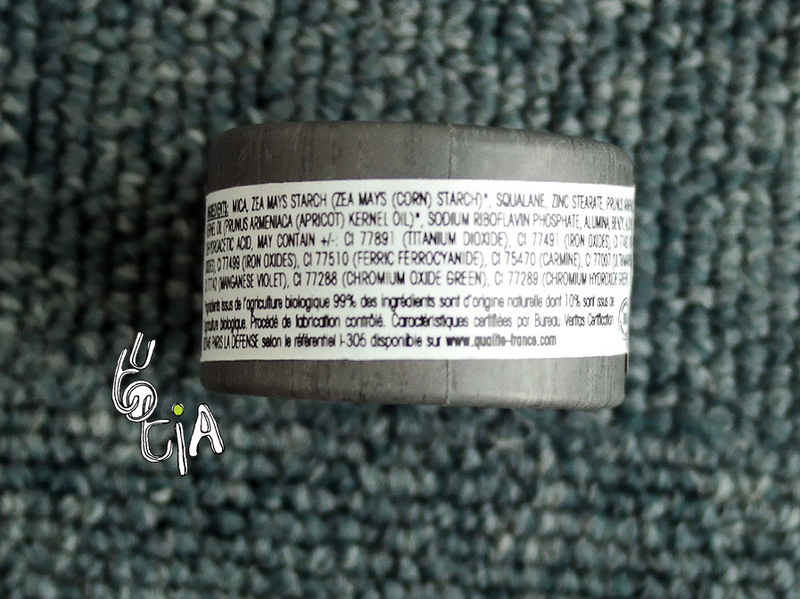 It might seem small (the diameter is around 3.5 cm), but I believe that this product will last long. 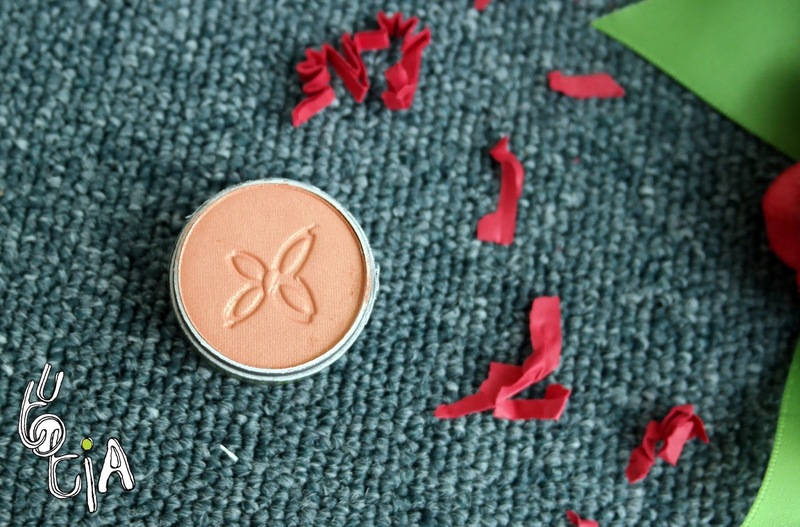 The 'compact' packaging makes you use less for your whole face. Here's the swatch on my hand. As you can see, it's very yellowish, perfect for Asian, especially Indonesian. But it is actually darker for me. I think no. 1 or 2 will suits my skin better. After blended, it doesn't look so bad though. But if you notice it, it is still a bit darker than my bare face. 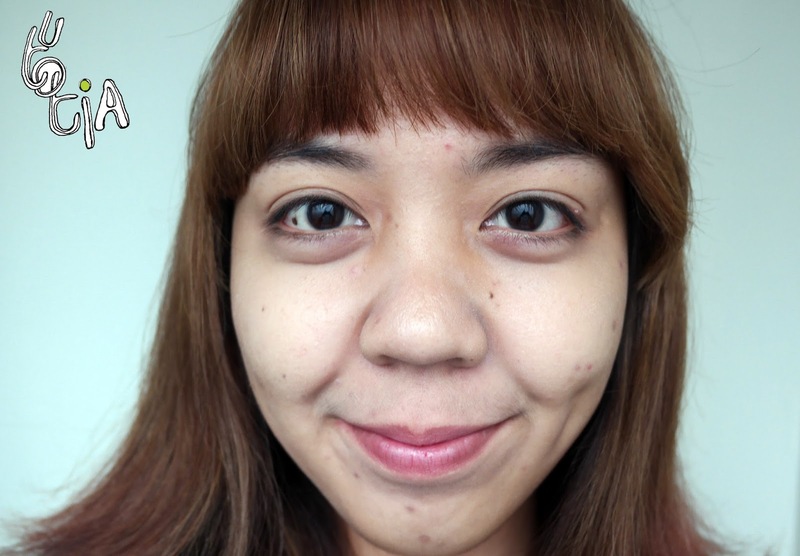 Overall I like the compact foundation because the texture is very creamy and easy to blend. 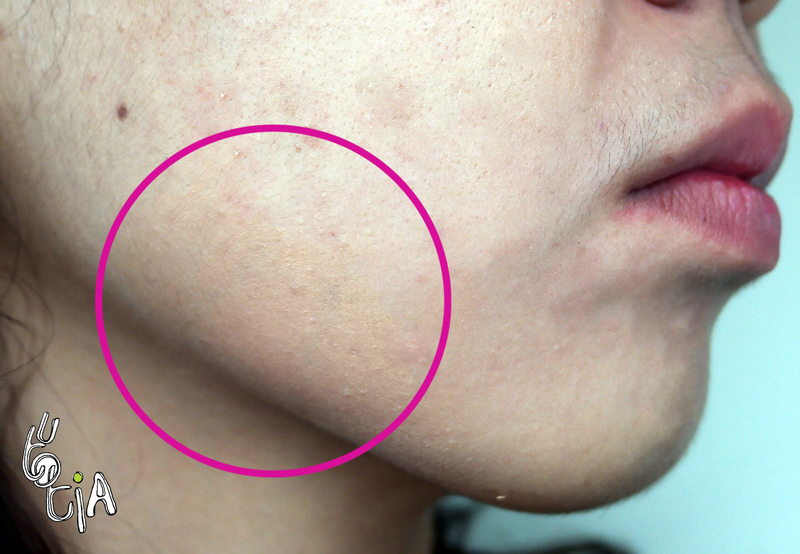 Besides, it is also good to cover those flaws like redness and dark spots. I use my fingers to apply and the finishing result is already good. Maybe with sponge, we can achieve better? The only regret is that I got the wrong shade. 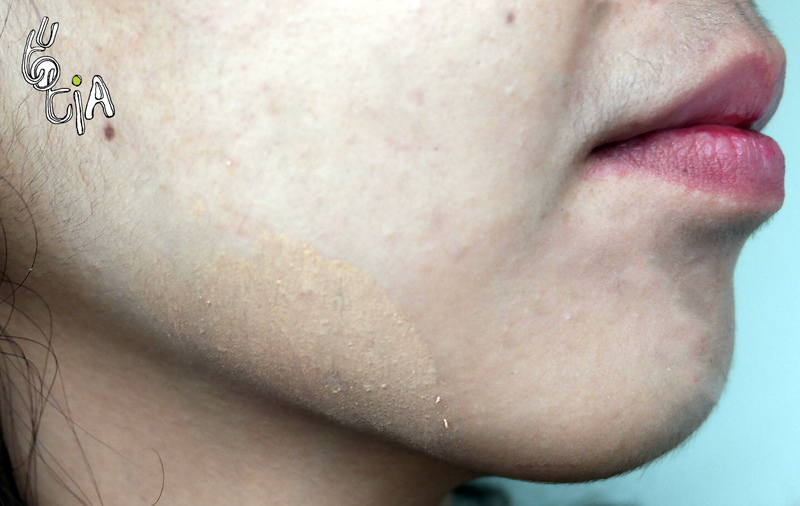 It might look just fine for a while, but after a whole day, my face looks so dull because of the oxidation. The packaging, though completely the same with lipstick (bio-degradable) is better for compact foundation I think. But I can't take the risk of bringing this foundation everywhere because the cap is often found lost due to the loose cap. silky and velvety texture / extremely easy application and working with the colors / incredible hold / professional quality / high pigment content. The eyeshadow is quite pigmented! Just like the makeup artist said, "you'll get exactly the same color on the pan when you apply it to your skin"
And yes, I strongly agree with that saying! 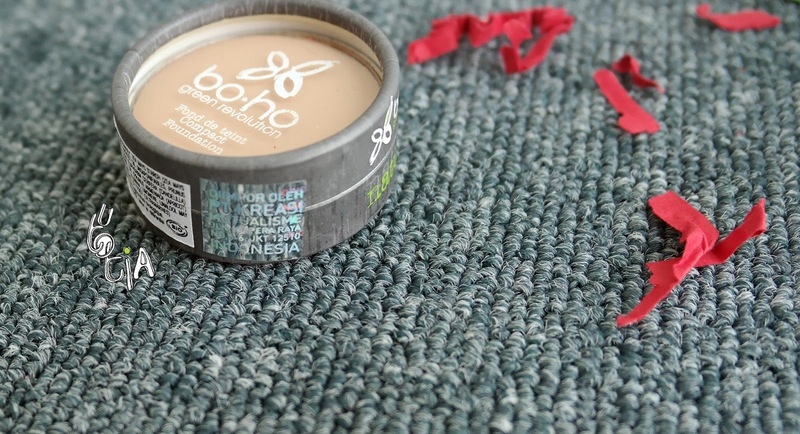 Unlike most of any eyeshadows, boho eyeshadows deliver the exact color on the pan. 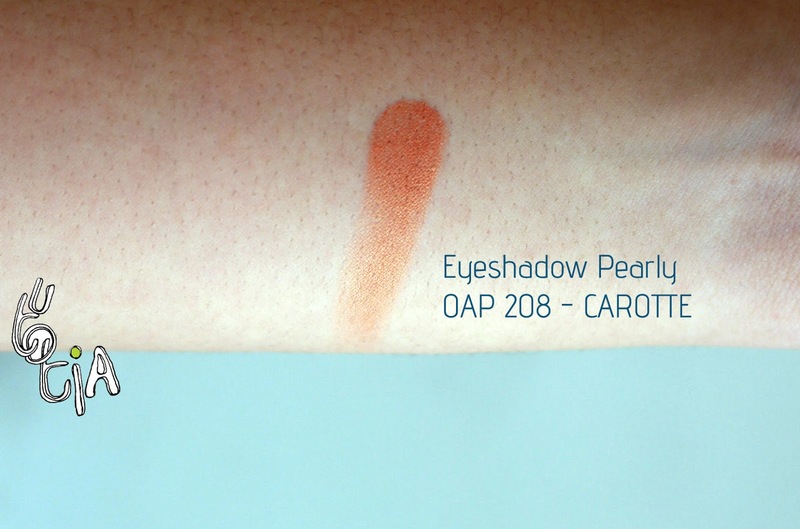 The orange color (shade is Carotte) depicts carrot really well. Also, I just love the orange, it's just right amount of orange poured down here! Here's the swatch on my hand (one swipe). 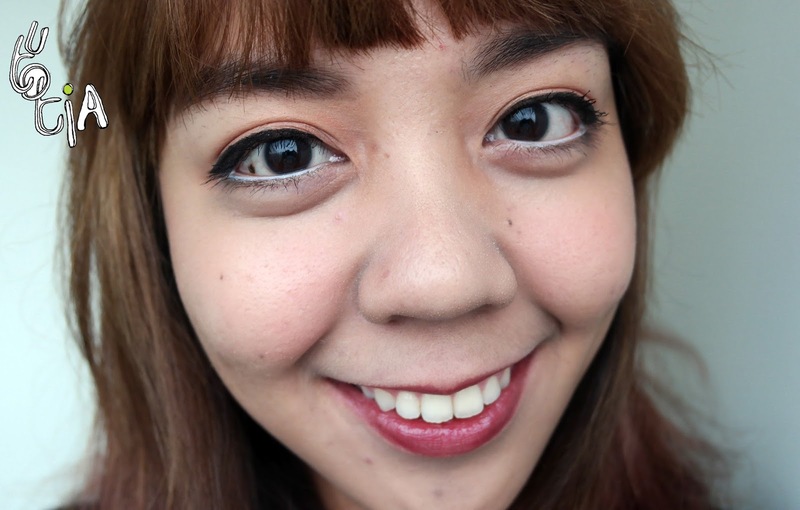 And here's how it look on my eyes (no primer). I actually applied it lightly on this picture. The only drawback is that the eyeshadow is quite powdery so you gotta apply it carefully not to spill the powder everywhere and mess up with your eye makeup. Lipstick stays almost 3-4 hours and after eating it's 70% gone. 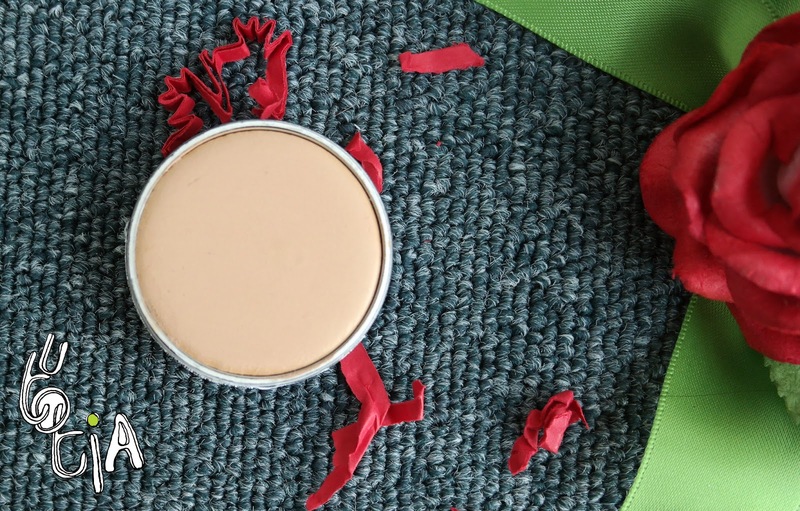 I don't mind as I also find the lipstick moisturizing. 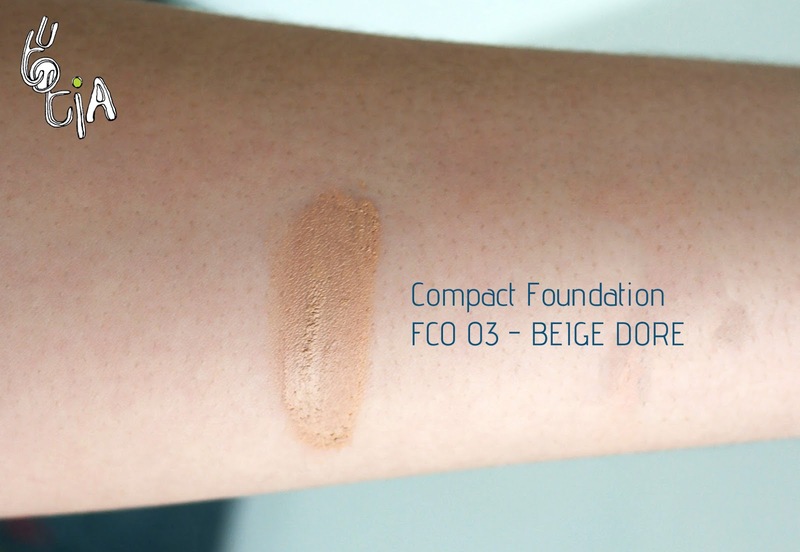 The compact foundation stays almost 6-7 hours in air conditioned room and it looks very natural. The color is exactly look like the color on the pan! 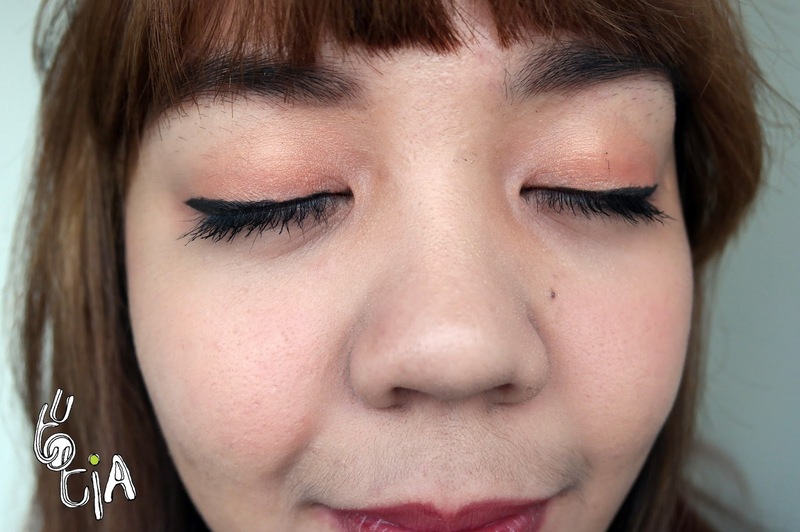 I love the color as well and it matches my warm undertone, making it flatters my eyes more. 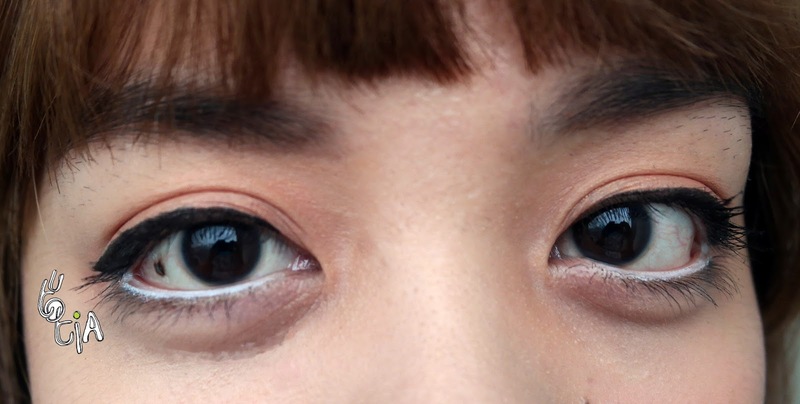 The eye pencil, though very short and small, gives the perfect white color and lasts about 2-3 hours. 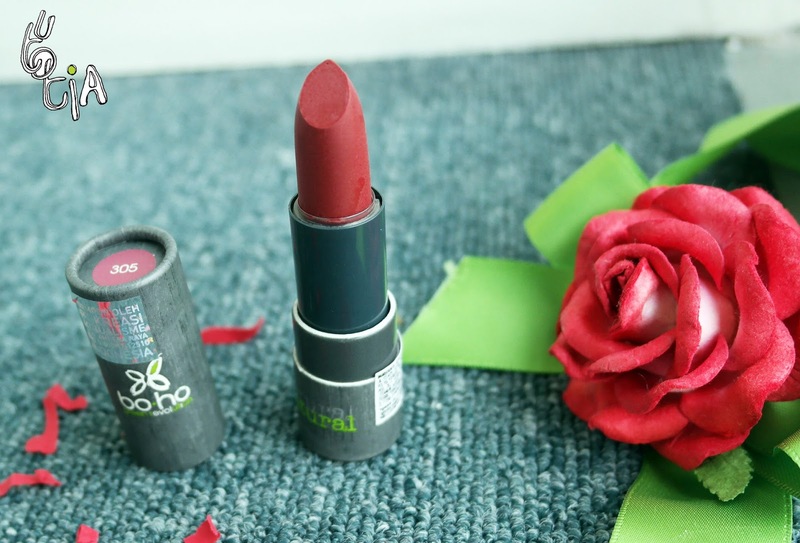 Have bought this lipstick from a health shop which mainly sells organic and natural. 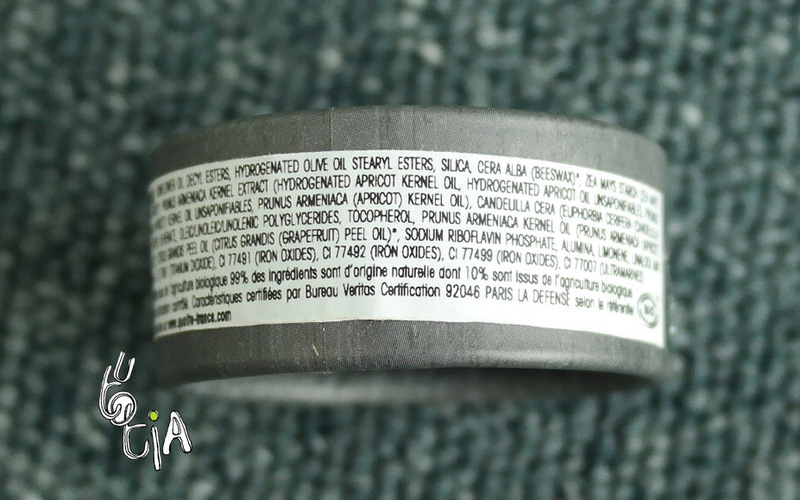 Just discovered that the lipstick contains Aluminium oxide amongst other chemical products. Not happy at all.